OUYA, the open Android game console with huge ambitions, has finally arrived in stores today and you can get the console with one controller for $99.99. An additional game controller costs $49.99. The OUYA first started on Kickstarter where it gained massive support, and after long months of hard work the tiny cube-formed console is finally up for sale on store shelves. The console has also gone on sale in Canada and the United Kingdom. The biggest benefit of the Ouya console is its cheaper price. Otherwise, the console cannot compare with the industry’s big names in terms of hardware - the Microsoft Xbox, the Sony Playstation or the Nintendo Wii. Right now, the console’s biggest advantage are its diverse “original games”. With 150 games at start, though, that might not be enough. On the flipside, all games are free to try. 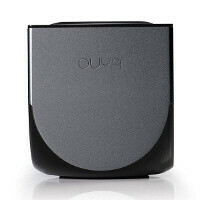 Ouya also featurse music and video streaming via apps like VEVO, iheartradio and Twitch.TV. How is it? Are the games good? I am a backer and still did not got mine ( thousands of backers did not receive it), i got an email with apologies from Ouya, that this the is fault of the company that ships the consoles........i would say Ouya that's your problem not mine. I paid and you promised that backers will receive it before it goes on sale in the stores! Right, it'll serve as a good toy to experiment with it perhaps.. or something you can give away to some little one you know. I wanted to back it up but back then I was facing some issues in paypal payment. I'm glad now that the issues prevented me from backing it. It's one of those that sounds good but better off waiting to see how it pans out before I waste my precious beer money. I was VERY optimistic about this device and thought I'd back it up on kickstarter. But over the time reality became obvious. Now it's just an outdated device, without much use/support.